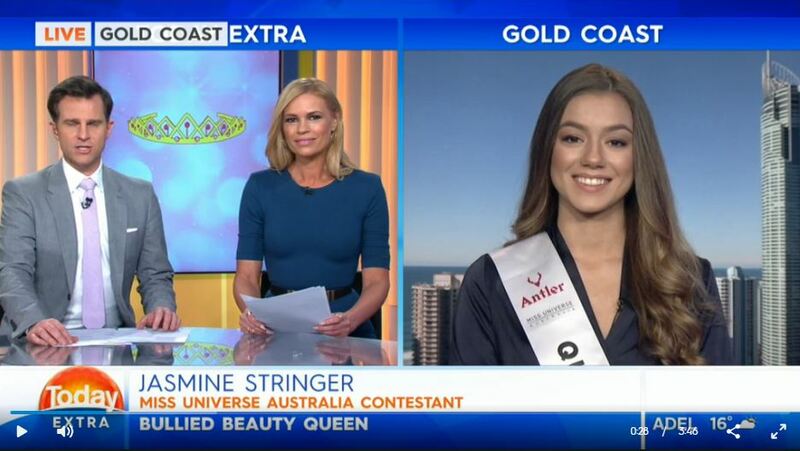 GOLD Coast student, Jasmine Stringer, has become the first Australian to be crowned Miss Teenager ’13. 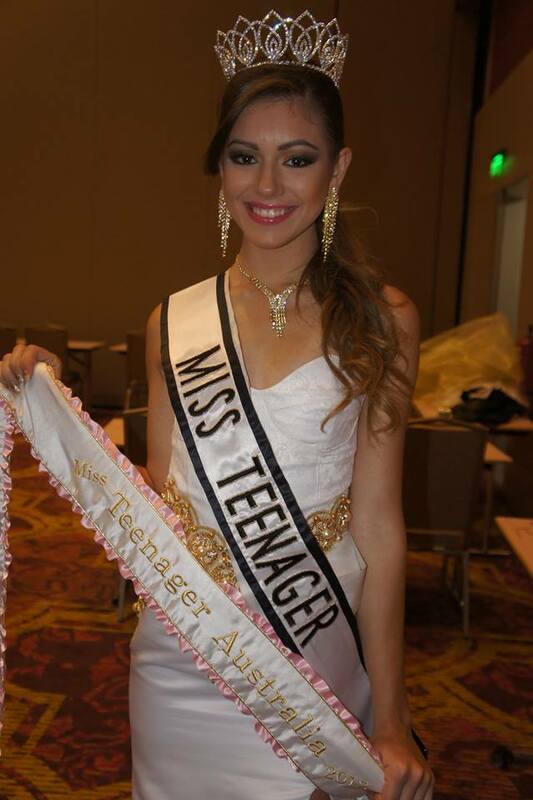 Jasmine, 16, beat 30 other beauties from around the world to take the title in Panama. 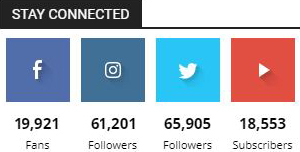 The competition was largely dominated by Latin countries making Jasmine’s win even more special. Jasmine Stringer, centre, qualified for the Miss Teen World ’13 competition after she was crowned Miss Teenager Australia. “I’m so overwhelmed by it all and I am still in shock at the moment,” the brunette told the Gold Coast Bulletin . Jasmine, who qualified for the event after winning Miss Teenager Australia on the Gold Coast, hopes this will be the launch pad for a big career. She eventually hopes to win the title of Miss Universe, the competition that launched the careers of Aussie models Jennifer Hawkins and Jesinta Campbell. This is the second year Australia has competed in the pageant, with last year’s entrant Bianca Black taking out second runner-up. Miss Teenager Australia director Mark Williams said the other contestants were older and better financed but Jasmine’s personality won over the judges. “It’s the first time anybody from our side of the world, let alone an Australian, has won this competition, ” Mr Williams said.